Reminiscent of an old English estate, the shabby chic décor of the Majestic Hotel Chicago creates the perfect fusion of home comfort and classic charm. 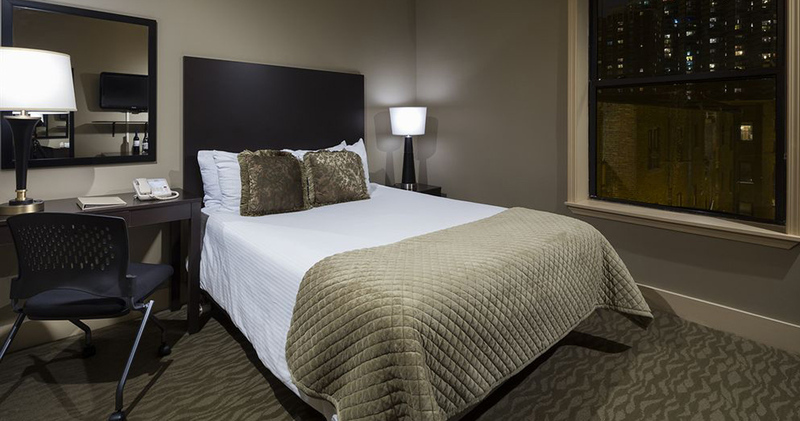 Tucked away on a quiet street in Lakeview East, the Majestic Hotel Chicago enjoys the privacy of a secluded location, yet also offers close proximity to Lincoln Music Hall, Lake Michigan and Wrigley Field. 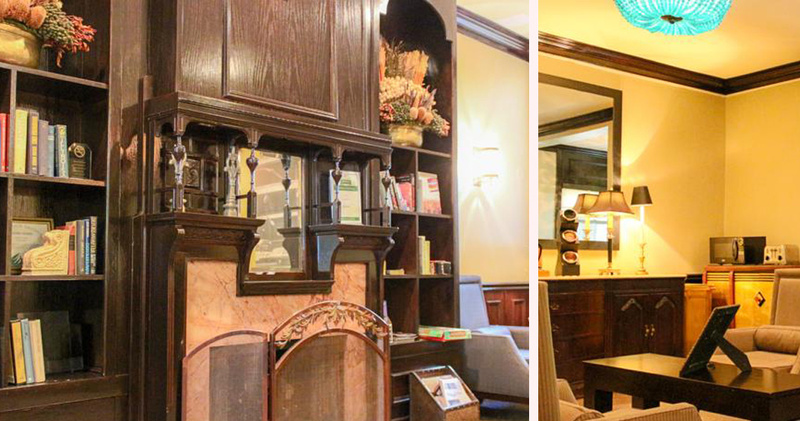 Stepping into the lobby of the hotel, guests are welcomed by a cozy fire where they can enjoy a cup of complimentary tea or coffee with freshly baked cookies. 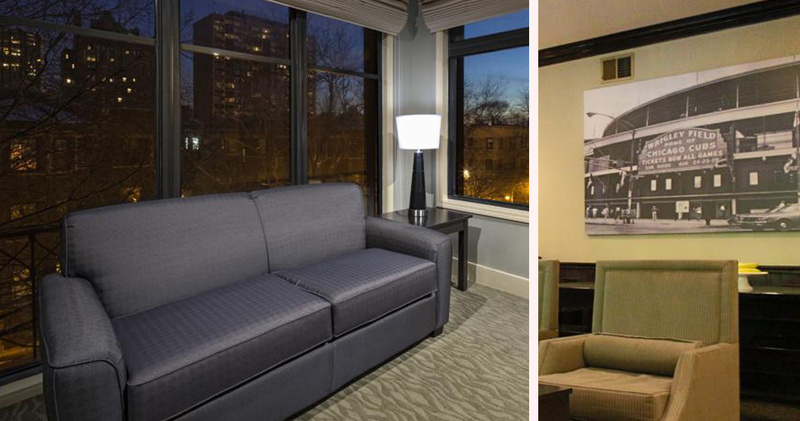 Majestic Chicago blends classic, country estate décor with various modern amenities. The hotel offers guests free Wi-Fi, complimentary breakfast and a lap pool. The Majestic Chicago also boasts an impressively equipped fitness center, from which qualified trainers run group classes in kickboxing, spinning, yoga and Pilates. This luxury boutique hotel has a team of attentive staff known for delivering warm, personable service. The Majestic Hotel Chicago was awarded the Certificate of Excellence by TripAdvisor in 2013. The guestrooms at the Majestic Chicago are designed to offer the grace and charm of a London estate. 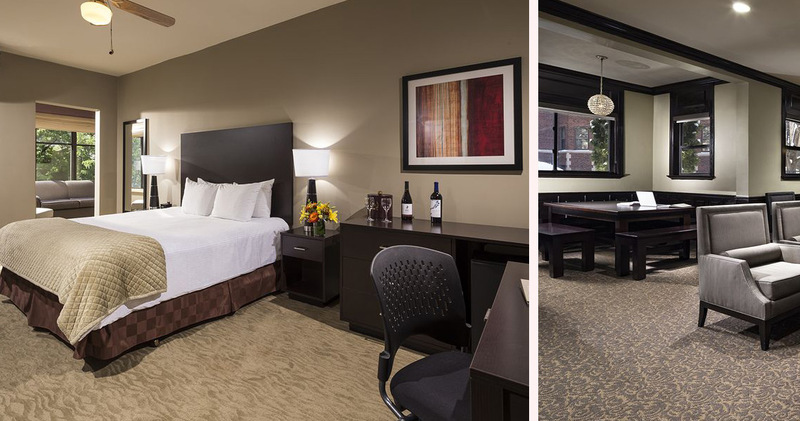 Rooms feature dark wooden furniture and calming colors that create a comfortable, cozy vibe. Deluxe bed linens and fluffy luxury robes add to the comfort of guests. The Majestic Chicago Hotel offers suites with microwaves and mini refrigerators. 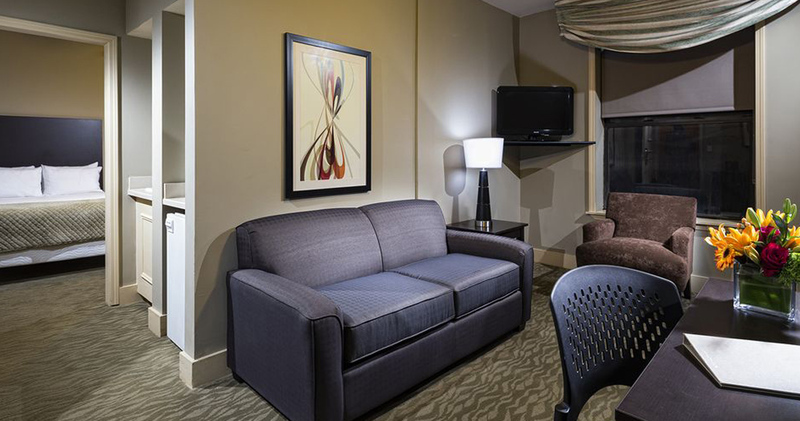 The rooms also feature flat screen televisions with complimentary cable and Roomlinx Interactive packages. For an added cost, guests can enjoy this interactive service with games, MP3 connectivity, HD content, movies, and both American and international TV programming. The Majestic hotel serves continental breakfast each morning. 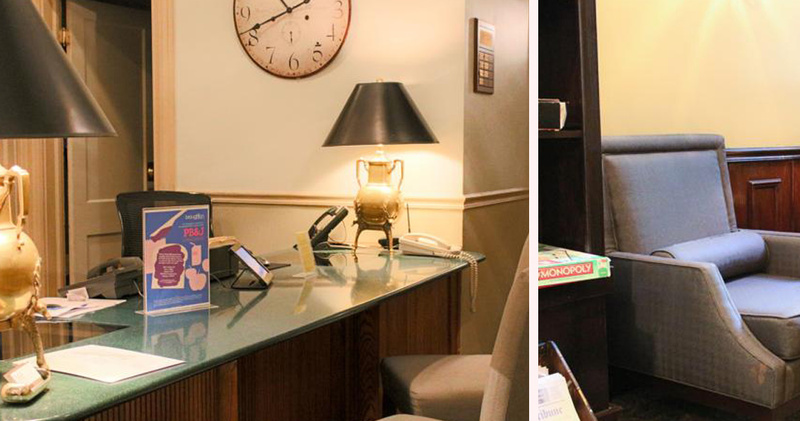 The lobby also has complimentary tea and coffee as well as cookies each afternoon. Lincoln Park is also home to several excellent restaurants like the fine dining establishment Alinea, Athenian Room for Greek fare and The Blanchard for French cuisine. 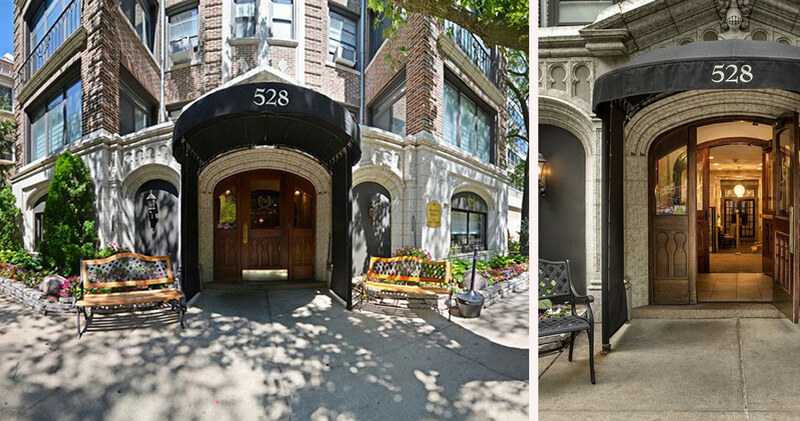 Lakeview in Chicago is a bustling and scenic neighborhood that offers a diverse range of attractions and activities. Located along Lake Michigan, Lakeview is best known for its beautiful outdoor attractions like the boat harbor, picnic grounds, golf course, driving range and playing fields. The neighborhood offers travelers a wide variety of cultural attractions like street festivals, theaters and live music venues. The commercial districts of the Lakeview area, like Belmont Avenue and Lincoln Avenue, offer a diverse range of popular restaurants, bars and shopping options. Some of the main attractions in Lakeview include Lincoln Park, Lakefront Trail and the Music Box Theater.